Due to its global positioning, infrastructure and climate, we have seen the UAE and Dubai develop into an international hub and preferred destination for weddings and corporate events. As exciting as that may be, it also means that the region is in the spotlight, where clients expect to see and experience the latest innovations and services associated with this market. So inevitably, everyone is always on the lookout for something new; that “special ingredient” that will become the point of differentiation between their corporate event or wedding, and everyone else. Table Art provides a unique service that fulfills that need. 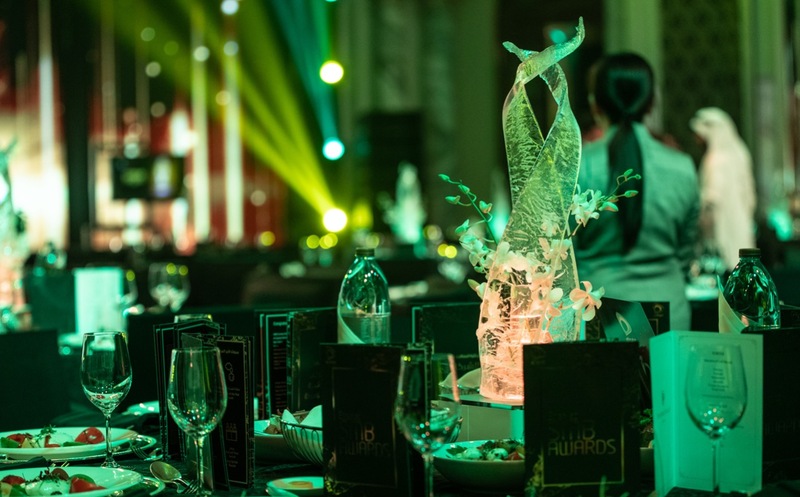 Drawing on over 10 years experience of delivering unique and memorable events and weddings in the UK using beautifully designed and illuminated table centres, Table Art UAE has been building an ever growing reputation for excellence and ‘going the extra mile’ for nearly 5 years. With or without flowers; we work closely with event organisers, AV companies and others, to fully understand their vision and theme. Using our specially designed console, we plan a bespoke choreographed lighting display that is delivered at table level to enhance our guests’ experience. Want to bring your company’s brand to the table level? We can match your client’s colors to our table centerpieces and make the event feel truly personalised for each business. Do you want to build the tension and excitement at an awards dinner? We can flash the relevant table art to announce the winner. Do you intend to have music with a bit of dancing later in the evening? Our table arts directly integrate with your AV to create an unforgettable lighting experience. Have you got a big ‘reveal’ to launch a new product? Enhance the anticipation with a ‘Mexican wave’ of light to sweep over your guests. Are you planning a grand party and want to impress your guests with something to remember? We guarantee they won't have seen anything like this! Share your plans with us; let your imagination run freely and we’ll be sure to suggest ways to ensure that your guests put down their smartphones and enjoy the event into which you have put so much time and effort. Give us a call for a free, no obligation consultation on how Table Art can be integrated into your theme. Check out the video below to see a recent example of synchronized light and dancing. So can corporate events and weddings get even better in UAE? Absolutely! And once you have experienced the difference our Table Arts provide – you and your guests will never want to go back.